This is a gripping book, thoroughly researched and adamant in it's conclusion. Just one flaw. It doesn't wash clean. When all the assembled evidence is gathered and analyzed, the reader is still left with several glaring questions; where did an escaped convict get the money to buy a car, travel about using only cash for a year, seemingly stalking Dr. King, meticulously planning his murder using maps to mark his intended locations, only to leave those maps behind in an Atlanta rooming house, along with a $20 bill that would wind up being sequentially matched to the bills that James Earl Ray possessed? Now, on with the review. If you have ever seen Alfred Hitchcock's masterpiece "North by Northwest", then you will understand the way that the various Intelligence organizations operated in the 1950's and 60's. The setting up of identities for ficticious persons, while having non-descript real people carrying out seemingly unrelated "tasks" was the preferred way to accomplish anything of note, without fear of the entire "chain" of seemingly unrelated events being discovered. Moreover, if it were discovered, it would seem to make no sense. 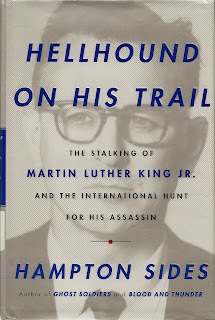 This was the rationale behind the Kennedy Assassination, and most probably, given the painstaking research of this book, the same thing that drove the plot to kill Martin Luther King. What makes this book so remarkable is that even as it sets out to prove that one lone man killed Martin Luther King, it fails. Along the way there are so many glaring holes in the tale that one has to agree with the New York Times editorial of July 1968, which basically said that if you believe this you're nuts. This is a very well written, and gripping read, even if you don't buy the conclusion. Mr. Sides has written an accounting of James Earl Ray's 21,000 plus mile journey that rivals any work of fiction. The FBI, headed by J. Edgar Hoover, a man known well for his distatse of the slain Dr. King, is tasked with heading the Investigation, against his will. The Royal Canadian Mounted Police, along with New Scotland Yard, are prominently on display in their role to capture the assassin. 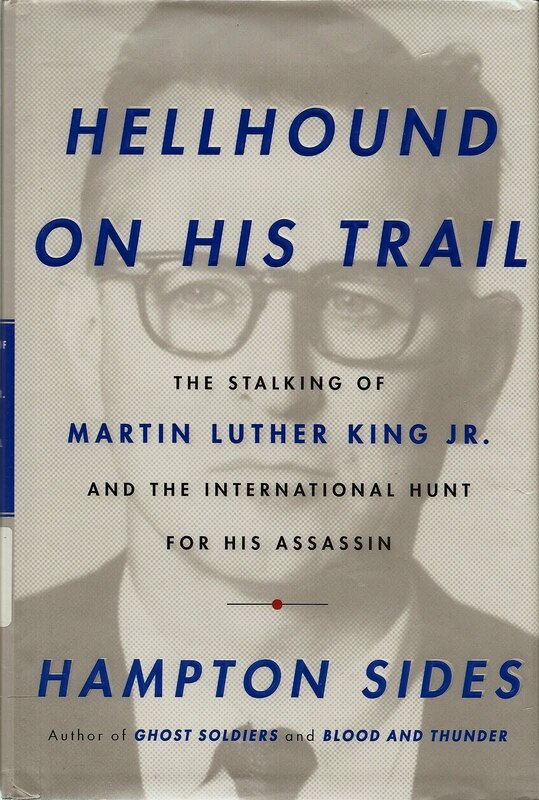 Some of the best portions of this book concern the American government and it's reaction to the assassination. Coming, as it did, within 5 years of President Kennedy's murder in Dallas, the country's leadership, under LBJ, was hard pressed to bring this case to a quick close. With many of the nation's cities already in flames, including Washington DC, and the Poor Peoples March set to begin in about 4 weeks, time was of the essence. It was also a Presidential election year. Absent from this account is any mention of the deal that James Earl Ray made in accepting a 99 year prison sentence in lieu of a trial. This had to do with his father's escape from a mid-western prison some years earlier. James Earl Ray was offered a trial- but his father would be returned to prison. This is a rather important piece of the puzzle, that is left out of the book by the author. Whatever your view concerning the King assassination, this book is non-stop action and suspense. And that is a hard thing for an author to accomplish when the ending is already so well known.